Construction - Crossrail . For information about the Elizabeth line please visit the Transport for London website. 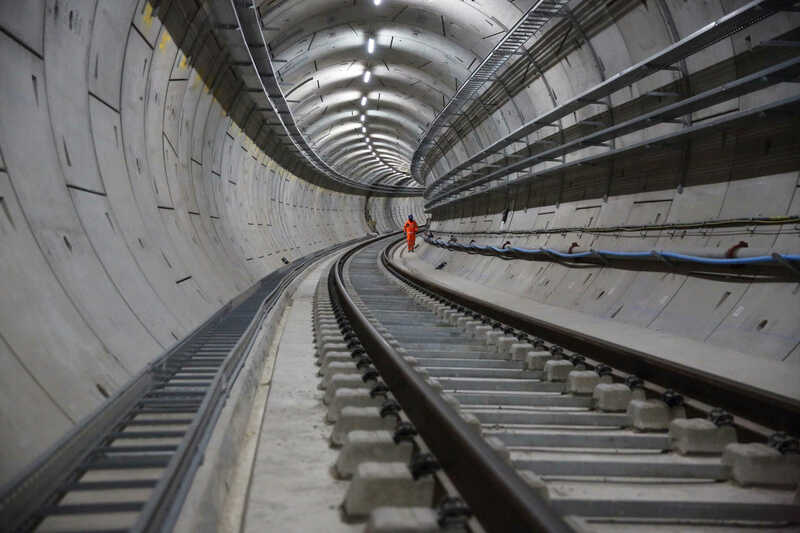 Crossrail in the biggest construction project in Europe and is one of the largest single infrastructure investments undertaken in the UK. The Crossrail project is delivering the Elizabeth line. Since the construction of the new railway began in 2009, over 15,000 men and women have worked on the project and over 120 million working hours have been completed. Over 1,000 apprenticeships have also been delivered by the Crossrail programme. Construction of the Elizabeth line is now in its final stages. Testing of new trains and infrastructure is underway and continues alongside the remaining fit-out of the stations. 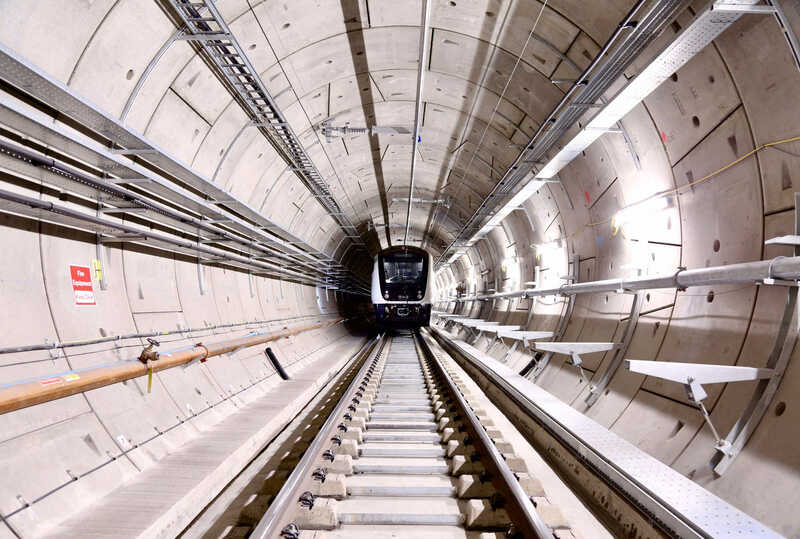 All of the permanent track has been installed and the new Elizabeth line trains are currently being tested using the line’s new automatic train control system which operates in the central section of the route. A dedicated team of engineers has worked around the clock to install tunnel ventilation, power, signalling, communications and overhead line equipment. See latest tunnel fit-out progress. The Crossrail project is delivering new stations at Paddington, Bond Street, Tottenham Court Road, Farringdon, Liverpool Street, Whitechapel, Canary Wharf, Custom House, Woolwich and Abbey Wood. Each of the ten new stations will have its own, distinct character, conceived by different architects, which reflect the environment and heritage of the local area. However, at platform level, common design components such as seating, signage and full-height platform screen doors will create a consistent and familiar feel to the rest of the TfL network. Explore your new Elizabeth line stations. The Elizabeth line is the first complete new underground line in more than 30 years. Crossrail tunnelling began in May 2012 and ended at Farringdon in May 2015 with the break through of tunnelling machine Victoria. Eight 1,000 tonne tunnelling machines have bored 26 miles or 42 km of new 6.2m diameter rail tunnels under London. A marathon of new Crossrail tunnels have been constructed beneath the busy streets of London by huge tunnel boring machines. Discover how the new Elizabeth line tunnels were constructed. Around three quarters of the route will run above ground on the existing rail network in outer London, Berkshire and Essex. 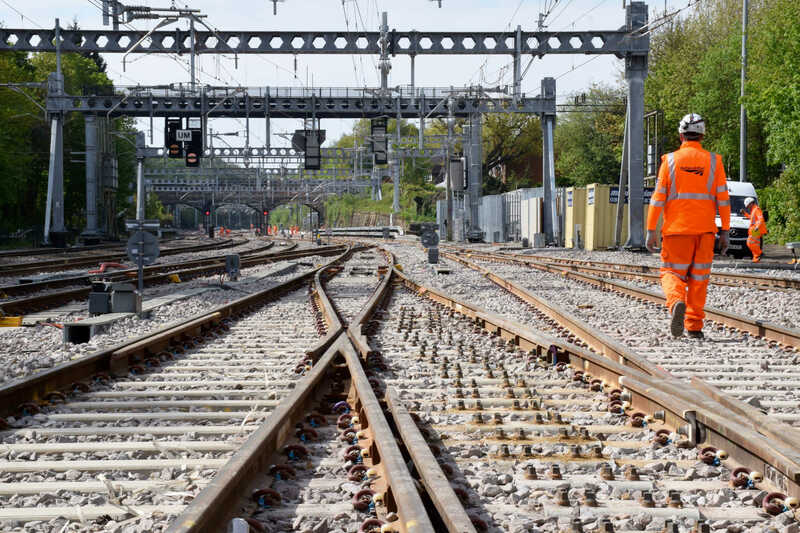 Network Rail is delivering this part of the Crossrail programme to add capacity, improve reliability, upgrade stations and electrify sections of the Great Western Main Line.